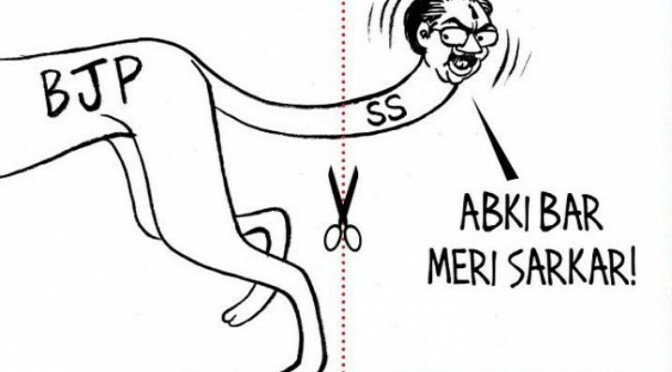 BJP vs Shiv Sena – A Clash of Communalists! The clashes between the two ruling parties in Maharashtra, Bharatiya Janata Party (BJP) and Shiv Sena have risen to another peak. This constant infighting between the two parties on who is the better claimant of the Hindutva bastion in the region has become a daily affair in Maharashtra these days. On 16th February 2015, around 9:30 am in the morning, he was taking his morning walk with his wife. Two men came out of nowhere and shot the two. They were moved to the hospital. He seemed to be recovering and was moved to Mumbai for treatment from Kolhapur, his native place. But, it was all in vain and he took his last breath on 20th of February leaving behind a legacy of political activism and and many questions regarding the motive behind his assassination. 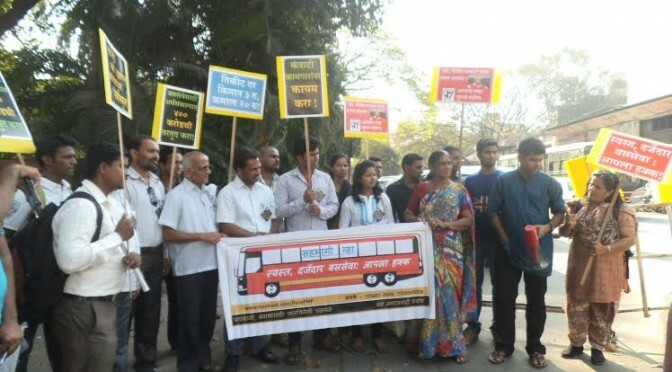 For over a month now, New Socialist Alternative, Pune has been campaigning and protesting against the recent public transport price hike. The 50% hike will hit many ordinary people hard and many in Pune are angry about this. In our campaigns we have been highlighting on the very notion of a public transport system and it is not about generating profits, but the duty of the local municipality to provide affordable and quality public transport system. We have campaigned on different bus stops throughout the city, interacted with over 1000 people and got petitions signed. 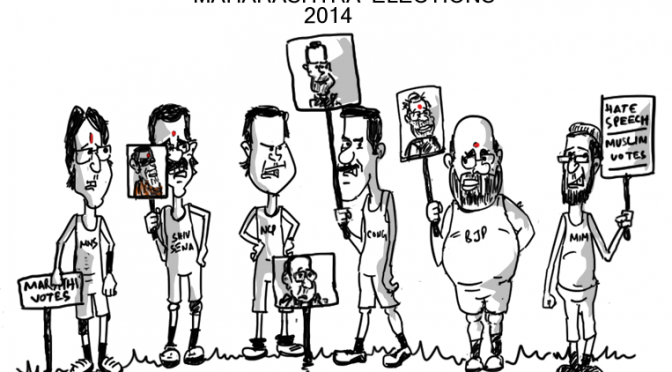 In Maharashtra, election campaigns have risen to a fever pitch. Voting took place on 15th October with about 64% voter turnout and the results will be declared on the 19th itself. This elections is different from the past because both the major alliances, Congress-Nationalist Congress Party (NCP) and Shiv Sena-BJP have ended and all of them have decided to contest independently. 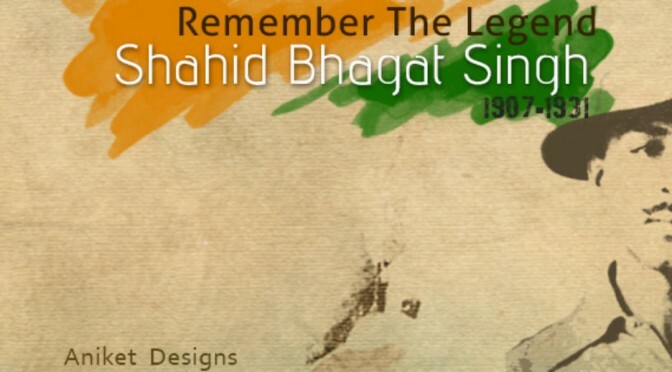 On 28th September, the New Socialist Alternative, Pune Branch organised a program on the birth anniversary of the well known socialist freedom fighter – Shahid Bhagat Singh (1907-1931). About 60 people attended the event. Leading to the event, our members had distributed pamphlets and stuck posters in many colleges in Pune. 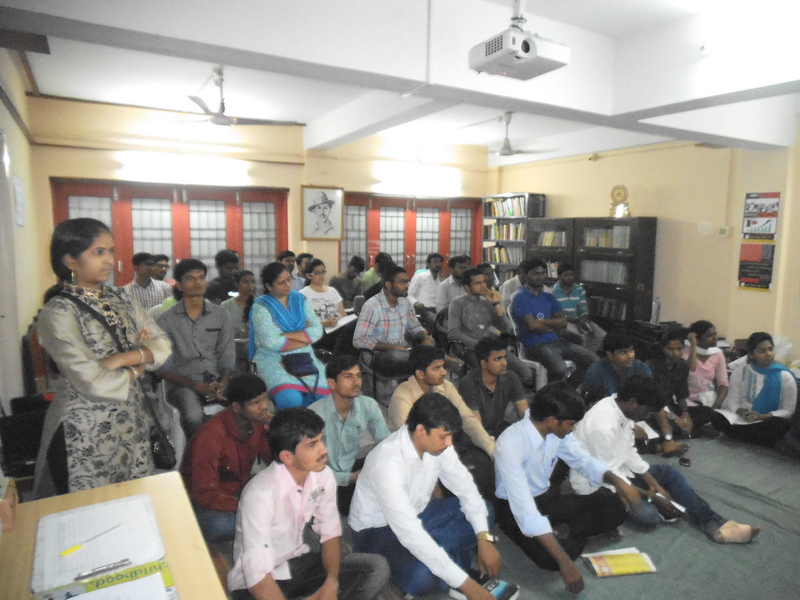 The program was held at Samaj Vidnyan Academy, Pune. The program started with revolutionary songs that were sung by our members Rushikesh, Dhanashree, Sagar, Anita and Ketki. 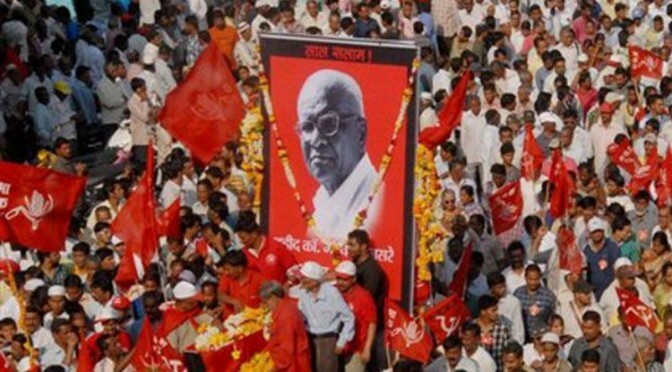 Comrade Omkar introduced everyone to the Nav Samaj Yuva Manch – NSYM (youth wing of the New Socialist Alternative – Pune) which was the driving force behind the programme. 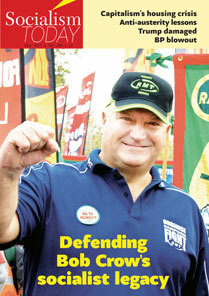 Omkar also introduced the speaker Comrade Datta Desai (a left activist and writer) and spoke about his contributions.